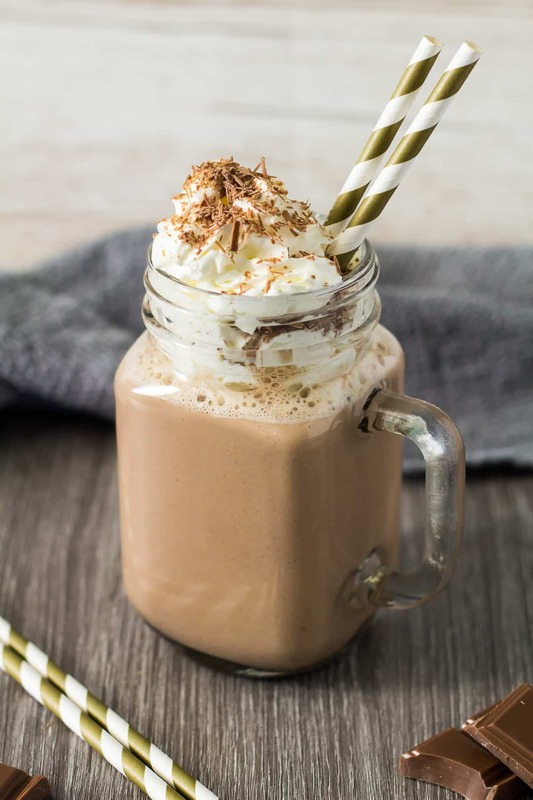 Pumpkin Spice Hot Chocolate – Deliciously thick and creamy hot chocolate that is loaded with pumpkin and warm, autumn spices. Perfect for those colder nights! Guys, I think I’ve just made my new favourite hot drink to enjoy on these cold autumn days. I bring you my Pumpkin Spice Hot Chocolate! 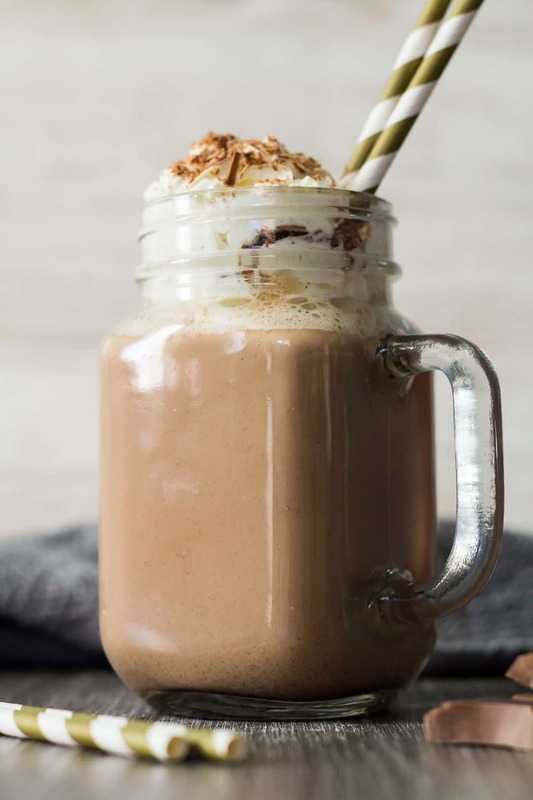 This hot chocolate is incredibly creamy, loaded with pumpkin flavour, and is perfectly spiced with cinnamon, ginger, nutmeg, and cloves. It’s the ultimate comfort drink to be enjoyed through autumn and winter. 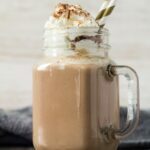 If you love pumpkin and chocolate together, you are gonna love this pumpkin spice hot chocolate – I promise! To make this hot chocolate, simply add the milk, heavy cream, chocolate, and cocoa powder to a microwave-safe bowl or jug. Heat in 30 second intervals, stirring after each one, until melted and smooth, and the mixture is hot. Add the pumpkin, vanilla extract, and spices, and whisk until fully combined. Warm up again if necessary. Pour into mugs or heat-proof glasses, top with whipped cream and grated chocolate, and serve immediately. Try these delicious drinks next! Deliciously thick and creamy hot chocolate that is loaded with pumpkin and warm, autumn spices. Perfect for those colder nights! Add the milk, cream, chocolate, and cocoa powder to a microwave-safe bowl or jug. Heat in 30 second intervals, stirring after each one, until melted and smooth, and the mixture is hot. Whisk in the pumpkin, vanilla, and spices until fully combined. Warm up again if necessary. Pour into mugs or heat-proof glasses, top with whipped cream, and serve immediately. 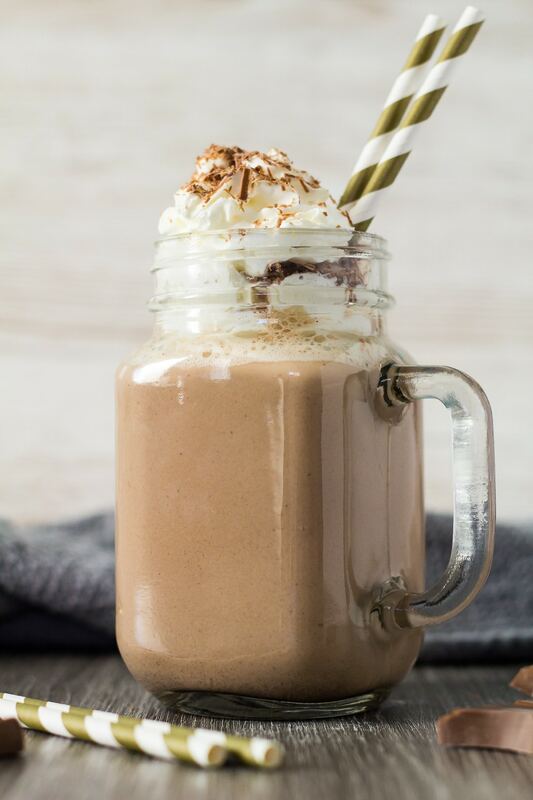 I loved the hint of pumpkin in this hot chocolate, such a great idea and so delicious too! I don’t think I’ve ever had hot chocolate with pumpkin spice, not sure why ’cause I love pumpkin and chocolate together! 🙂 This recipe sounds so easy and delicious, and PERFECT for this weather! Pumpkin and chocolate? Now you’re talking my language! This drink looks so good!